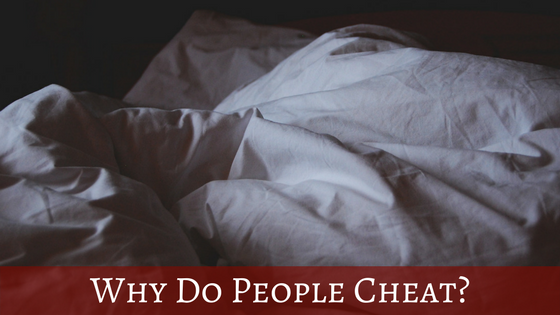 Why Do People Cheat? Is Your Relationship Vulnerable to an Affair? Most often, people cheat because they are unhappy in their relationship or because they are looking to reconnect with a new or lost part of self. When I work with couples after an affair, part of the process is making meaning of what happened. It’s understanding the whys and the hows. What led to the affair, what was missing in the relationship or the individual that enabled this to happen? After we make meaning of the “why”s and the “how”s, we then move into restructuring the relationship to make it better and stronger for each partner and the couple as a whole. Definitely check back in for blog posts on Affair Recovery over the next couple of weeks. I’ve got tips and tricks coming for the partner who strayed, the one who feels betrayed, and the couple as a whole. You are not in this alone! I’m definitely here to help. When are couples most vulnerable to cheating? When people are unhappy, they seek relief. Unfortunately sometimes that can come in the form of an affair partner. People are particularly vulnerable to cheating when they’re feeling insecure, inadequate, neglected, resentful, and have low self-worth. Why? Because they are going to be overly receptive to someone (a potential affair partner) who values them and makes them feel good, worthy, appreciated, and valued. For better or for worse, affairs can be a form of self-discovery, of reconnecting with lost parts of self. I know this is painful for the other partner to hear. It feels selfish and petty. But sometimes the affair isn’t about the betrayed partner and the relationship at all. It’s about the straying spouse’s sense of self, a lost part that they didn’t even know they were looking to rekindle. The loss of a job, financial instability, health issues, or the death of a loved one can all be precipitants to an affair. People seek out comfort and feelings of aliveness when their grieving. Rather than wanting security, they want novelty and adventure. The thrill of an affair can be the antidote to the feeling of deadness. Sometimes people feel constrained, constricted, and scared. An affair can make them feel alive. Once they realize what the affair has been able to give them, they can often find ways to have that same feeling in their relationship (with the help of a qualified couples therapist). One of the biggest reasons for affairs is that someone isn’t getting their needs met in the relationship. People often stray when they’re unhappy in their marriage. Suddenly someone else is showing them interest, affection, and validation whereas their spouse at home is distracted, nagging, and dismissive. Now it takes two to tango here and often neither partner is having their needs met in the relationship. And I want to be clear that it is NOT the fault of the spouse who’s been cheated on. The responsibility lies with the person who cheated. That being said, a great way to affair-proof relationships is to fix the dynamics that led to it happening in the first place. As a couples therapist, this is what I do. I help couples break patterns that leave them feeling disconnected so that they can feel confident and happy in their marriages. Sometimes couples come to me after an affair. Other times it’s because they’ve noticed that they’re feeling disconnected and unhappy. Or perhaps it’s because they want to manage conflict better. No matter the reason, the people who invest in couples therapy are doing it because they want to have a happy, healthy relationship. Yes!! Relationships can not only survive but thrive after an affair. Affairs often illuminate that something is missing. They provide information. And with that information you can rebuild and restructure relationships so that people are getting their needs met. In addition, lost parts of self can added to the mix. Because of this, many couples find that their relationships are revitalized after recovering from an affair. Just make sure that you’re going to a qualified couples therapist! Is my relationship at risk for an affair? Check in next week to learn the 3 Signs that your Partner has Kicked Cheating to the Curb.